Home / Lifestyle / Amber Necklaces, Myth or Magic For Treating Teething Children? Amber Necklaces, Myth or Magic For Treating Teething Children? They may find it hard to sleep well. Unable to eat well or eat at all. Excessive saliva dripping from their mouth. Excessive and watery poo / Rashes on the body. The teething process leaves many children very discomforted, restless and sick, rendering their parents stressed and frustrated sometimes. How Do Parents Solve Teething Problems? Most parents visit the hospital and get medications for their teething babies, while some resort to alternative medication, which comes in place of the amber necklaces. 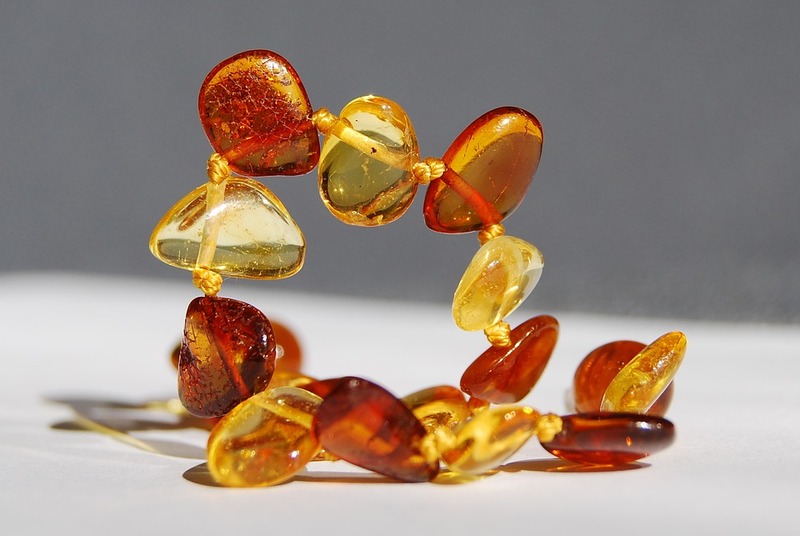 According to the increasing fame and usage of the amber necklaces in the past few years, it is safe to say lots of parents believe in the usage of Amber necklaces, as the solution to the teething problems of their babies. Lots of them claim that when they wear amber necklaces for their ailing children, the symptoms, discomfort, and pain reduces by the day, as long as they necklace stay on their children's neck. According to words around, Amber necklaces contain natural painkillers, which seeps into the body of the baby, bringing relief to the teething baby, and easing them of every pain and swelling gradually. Amber necklaces are made from natural bark of trees that are preserved over a long period. These bark gets solidified during this period of fossilization. After which holes are being made into each bark, and strung together with a rope to make different necklaces of diverse colours, designs and sizes. Amber Necklaces, Myths or Magic? There are speculations as to the potency and efficacy of these amber necklaces, in the recovery of a teething child. Some folks believe it is superstitious to think ordinary pearls can do the magic in restoring the health of an ailing teething child. While some other folks have contrary opinions. They believe in the potency of the amber pearls in not just restoring the health of their teething babies, but also in creating a deeper bond between the babies and their parents/guardians. Since there are more yay sayers than naysayers, we would like to believe that just maybe it is true that amber necklaces do tremendous help to resuscitating a teething baby. How Safe Are Amber Necklaces? Although there are fears and worries about the safety of the necklaces on the babies, as they can easily get strangled with it. The best thing to do is to make sure the necklace is not too tight on your child's neck. Are Amber Necklaces For Children Alone? Adults can make use of amber necklaces to recover swiftly from sicknesses, boosts self-confidence and keeps the body in good condition.